The Board has made every effort to include the information you need to renew your licensure on this website. You can visit our Help Center, FAQs and Resources page for frequently asked questions, links, forms, applications and other helpful information. If you have additional questions about your renewal process, please contact a renewal specialist. Click on the appropriate tab below to see the Renewal Requirements, Process, Fees and Continuing Education (CE) for Physical Therapists & Assistants. Licensees requesting to reactivate their license from inactive or retired status are required to pay additional fees and comply with specific continuing education requirements. Please contact the board office at info@floridasphysicaltherapy.gov to request your reactivation requirements. By submitting the completed renewal application along with the appropriate renewal fees to the department, a licensee acknowledges compliance with all requirements for renewal, including continuing education. Note: Do not submit certificates of completion of in-service hours to the Florida Board of Physical Therapy. 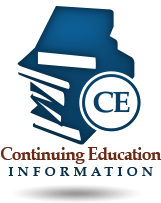 All continuing education hours must be submitted to www.CEBroker.com. *After renewal closes, a $55 “Delinquent” fee will be added to all transactions. A “Change of Status” fee will also be added for licensees wishing to change from Active-Inactive in the amount of $40. Courses sponsored or approved by the American Physical Therapy Association (APTA). This includes other state APTA chapters and APTA sections. Courses sponsored by a college or university which provides a curriculum for training physical therapists or physical therapist assistants which is accredited by, or has status with an accrediting agency approved by, the United States Department of Education. One credit hour is the equivalent of one contact hour. Course Instructors providing continuing education can receive up to six contact hours. Clinical Instructors can receive 1 contact hour for every 160 hours of clinical internship limited to a maximum of 6 contact hours per instructor per biennium. Clinical instructors must be credentialed by the American Physical Therapy Association (APTA) to receive clinical continuing education credits.